Become a licensed Security Officer in South Australia. Suitable for those wanting a basic Security Providers Licence for unarmed & crowd control security jobs in SA. This course offers an introduction into a number of fields including, private security, legal studies, ethical standards, performance management, team work, communication skills, risk management, incident management, reporting, security officer duties and responsibilities and First Aid. Upon successful competition of this course, a Certificate II in Security Operations (CPP20212) qualification including Crowd Control, as well as a First Aid certificate will be awarded. Be an Australian Citizen, Permanent Resident or hold the appropriate Visa to work within the Security Industry in SA. Please note, Asset College is not able to offer this course to international students or those on a student visa. There are no prerequisite units required for entry into this course. However, you will require basic English language, literacy and numeracy (LLN) skills. You will be required to undertake an Online LLN ASSESSMENT prior to commencing enrolment in this course. You must be able to read and understand organisational policies and procedures, write reports and communicate with others in plain English. The Certificate II in Security Operations with Crowd Control includes a total of 16 units. This qualification is based on the licensing requirements to obtain a SA Security Providers Licence and therefore units within this course cannot be changed. These units are in addition to the Certificate II in Security Operations units above. For employment in Crowd Control you must undertake the following elective units. To gain an overview of everything you will be required to learn in this course, please visit training.gov.au. If you already hold a current First Aid certificate but it is more than 12 months old, you will need to complete a CPR Refresher in order to apply for or renew your licence. This can be done as part of your course and is strongly recommended. The face to face component of this course is delivered over 9 days incorporating the crowd control units as standard. Certificate II in Security Operations can be run at your location. Minimum student numbers are required. Please contact your Asset College representative for more information. Please enquire with your closest Asset College office for RPL options. Asset College does not offer online training for this course. Once you have obtained your security license (including Crowd Control) you are required to complete an additional unit in order to gain employment at a licensed premises. When competent you can apply to the Commissioner of Liquor and Gambling for additional licensing. Course fees may vary depending on delivery location of the course. Follow our Asset Recruiting Facebook page. View upcoming course dates and prices. 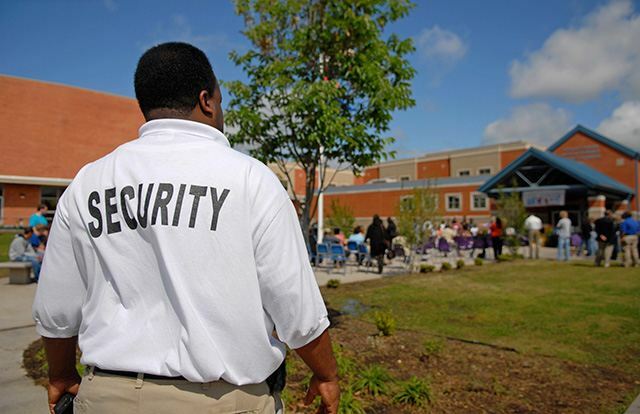 “I recently completed the Certificate II and III Security Operations course at Asset College at Spring Hill. The course design was well put together, and was presented in a manner that was easy to understand, and interesting.